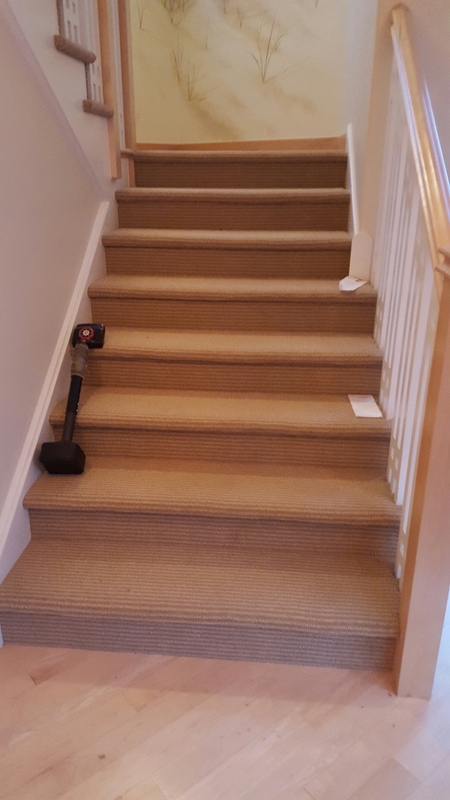 Repaired & Restretched Pattern Match Commercial Berber type Carpeting on Stairs in Avalon NJ! Previous: Repaired Berber Carpeting around New Ceramic Flooring in Egg Harbor Township NJ! Next:Installed Plush Carpeting in Blackwood New Jersey!